Ski mountaineering is an exceptionally hazardous activity which often results in severe injuries and death. Any person purchasing, or using our equipment, assumes the responsibility for seeking proper training in its use. They also assume all risk for injury, or damage, sustained while using any of our equipment. Our equipment is not to be used for any other purpose other than which it is intended. Failure to follow these warnings increase the risk of injury or death. B & D Precision is not, and shall not, be liable for direct, indirect, incidental, or other types of damages arising out of, or resulting from, the use of our products. Always test your gear before heading to the backcountry! Remember: Ski crampons are meant to be used in conjunction with climbing skins. They are NOT a replacement for climbing skins. B & D Ski Gear makes crampons compatible with all models of Dynafit bindings. We recently improved our crampon forming process. This allows us to form more rigid and consistently formed crampons. There are 3 styles of crampons; Classic , Comfort 07 and now RAD FT. The Classic model works on all Dynafit TLT, Speed, Race, and pre-07 Comfort bindings without modification to the binding. The Classic model also works with most all non-Dynafit tech bindings except Fritschi, G3, Marker. 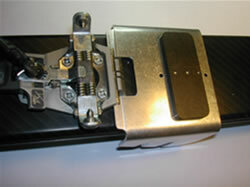 With a modification to the binding ( dawson mod), it can also be used on Comfort and Vertical bindings. The RAD FT works on all current models including the Radical FT and ST 2.0 series. The Comfort series is being phased out, but stock remains in several sizes. Additional information on crampons for use with Scarpa F1/F3 boots is available below. Note the large cutout. 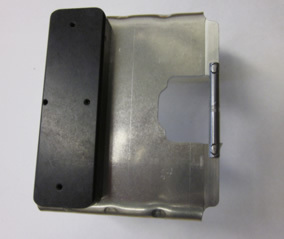 This cutout is to accommodate large rib found in some of the older comfort and vertical Dynafit bindings. Even though this crampon comes with a spine to increase stiffness, the posts are required for proper crampon engagement. These crampons were made with the following Dynafit binding models in mind: Comforts post 2007, Vertical ST, and Vertical FT. It can also be used on all tech bindings, but is not as stiff as the Classic crampon. For those that are large, or tend to break things, it is suggested that you purchase the Classic or RAD FT. model and modify your binding if needed to get the ultimate strength. See to the right. All crampons are made about 3mm wider inside then the stated width. So, a 100mm crampon is about 103 mm inside and will comfortably fit a 100mm waisted ski. All crampons come with 2 boot spacers (the black block on crampon pictures). 1/4" and 1/2 ". Most people use the 1/4" with the classic binding and 1/2" with the Comfort/Vertical bindings, but they can be interchanged. Your binding and ski waist. Note the small cutout. This crampon will fit TLT, Speed, Race and older Comforts that do not have the large rib. This crampon is stronger then the Comfort 07 version and is recommended for large skiers (above 180 lbs, 82 KG), and those that tend to break things. With a modification to the binding (cutting off the rib) thiscrampon an be used on the old Comforts, Vertical ST and even the FT if you are really serious. 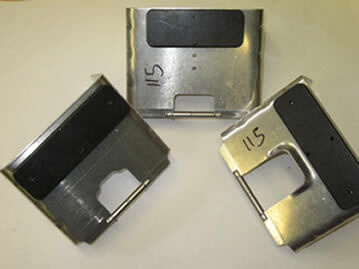 Rib has been cut off on newer Comfort bindings (Dawson mod) which allows the use of a stronger crampon. The crampon mount on the new Dynafit Radicals is a little tighter and wider than previous Dynafit crampon mounts. With minor modifications our Dynafit Classic crampons that are already sold will work with all Radical models. All crampons purchased at this time should not require the modifications to the crampon pictured below. 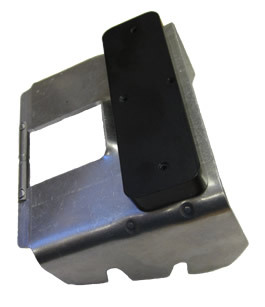 Our crampon locks give you the option of providing a fixed mode for your crampons. This gives you the best of both worlds by offering both dynamic and fixed crampon functionality. They come as a set of 2 locks. 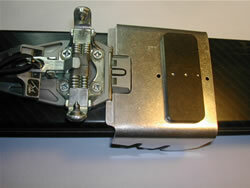 Click here to view crampon lock products. Actual weights may be slightly higher or lower based on choice of posts. 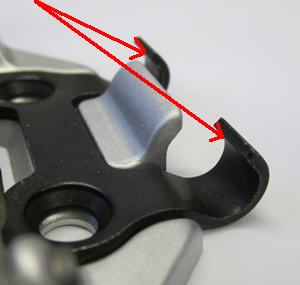 File very lightly on the inside portion of the crampon mount where indicated by the red arrows. You want to remove the minimum amount of material needed to allow the crampon to slide into the mount and smooth the surface. 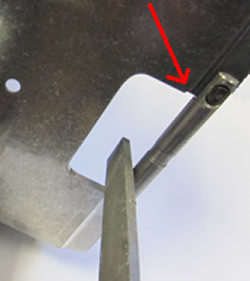 You can also lightly pry on the mount, at the red arrows, to open the gap. File very lightly on the inside portion of the crampon where indicated by the red arrow. 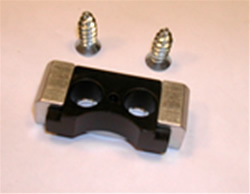 You want to remove the minimum amount of material needed to allow the crampon rotate freely within the crampon mount.